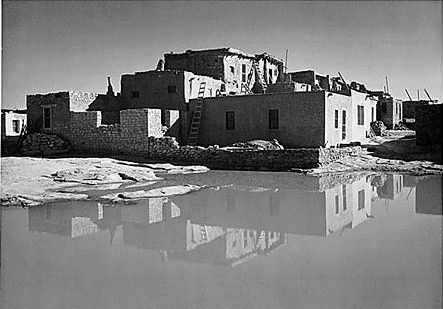 Acoma Pueblo, New Mexico by Detroit Publishing, about 1900. Strategically built atop a 357-foot sandstone mesa for defensive purposes, the Acoma Pueblo is more familiarly known as Sky City today. Believed to be the oldest continuously inhabited city in the United States, the pueblo was built sometime between 1100 and 1250 A.D. The name “Acoma” means “People of the White Rock” in the Puebloan Kersan dialect. The pueblo, covering some 70 acres, is actually comprised of several villages including Acomita, McCartys, Anzac and Sky Line. Acoma Pueblo Roadway by Edward S. Curtis, 1905. The site was chosen, in part, because it provided a defensive position for the tribe against raiders. Access to the pueblo was difficult as the faces of the mesa are sheer and before modern times, it could only be accessed by a hand-cut staircase carved into the sandstone. For centuries the Acoma people have farmed the valley below the Acoma Pueblo using irrigation canals in the villages closer to the Rio San Jose River. They were also actively involved in trading, not only with neighboring pueblos but, also over long distances with the Aztec and Mayan peoples. 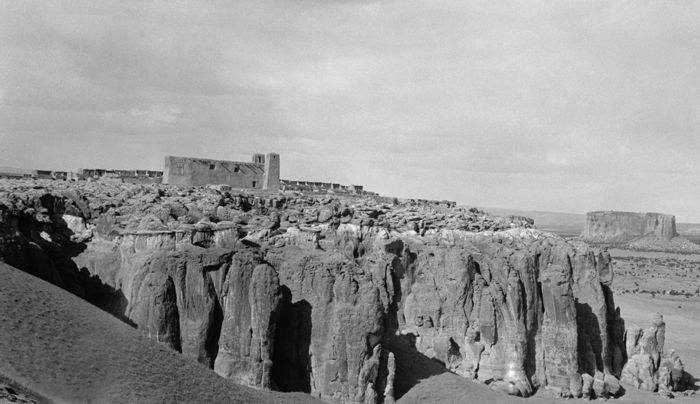 Because of its inaccessibility, Acoma was one of the most resistant pueblos to Spanish rule. During early Spanish contact, reports indicated that the Acoma were friendly, often meeting expedition parties at the bottom of the mesa to greet and assist them. Through time, the Spanish presence became more persistent, and the Acoma retaliated. 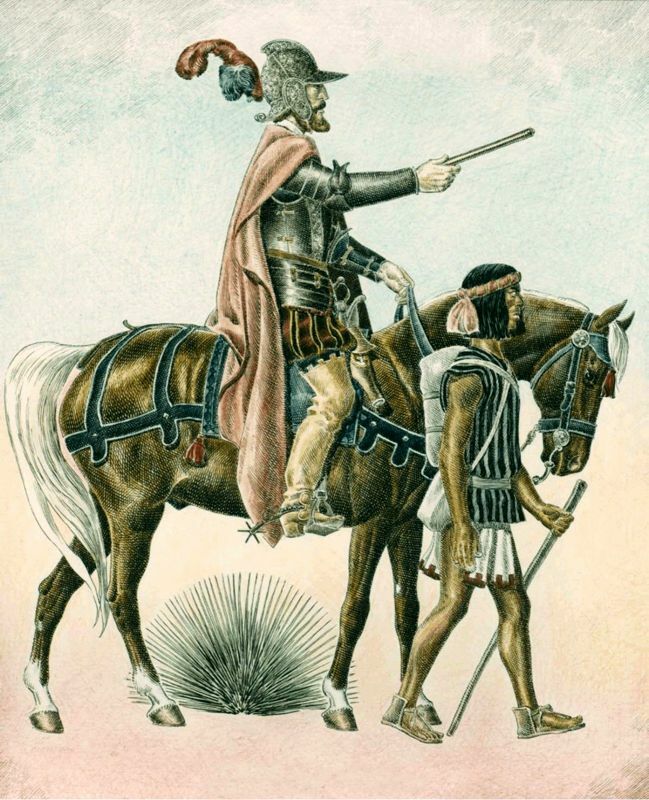 In 1598 when Governor Juan de Oñate, under orders from the King of Spain, invaded New Mexico and began staging raids on Native American pueblos in the area, taking anything of value. When the Spanish soldiers arrived, they made their headquarters at the Ohkay Owingeh Pueblo, formerly called the San Juan Pueblo, located about 25 miles north of Santa Fe. Upon their arrival, they removed the Tewa tribe who lived there and used it as a base to stage more raids on other Native American pueblos in the area. 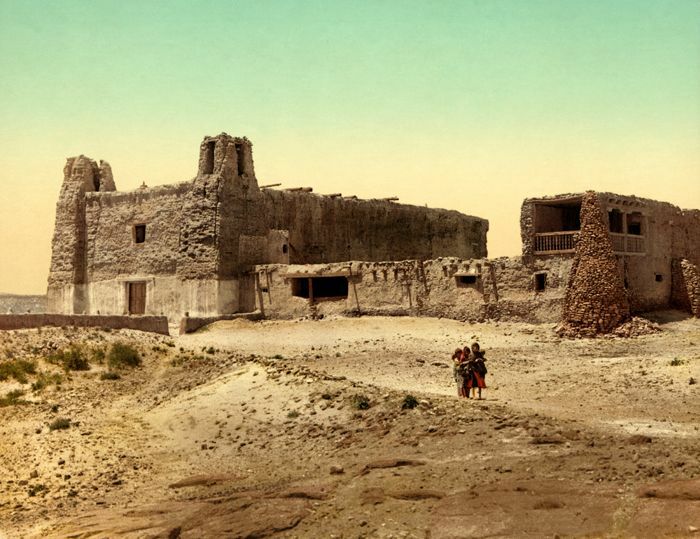 In December 1598, a party of Spanish soldiers seeking food arrived at Acoma. Initially, they were welcomed and treated in a friendly manner until the soldiers turned aggressive and began to demand grain from the Acoma storehouses, which was needed for the tribe to survive the winter. Provoking a furious reaction, the Acoma attacked the soldiers, killing 13 of them, including their commander, Juan de Zaldivar, who was a nephew of Juan de Oñate. In response, Oñate resolved to make an example of Acoma, and dispatched 70 of his best men, under the command of Vicente de Zaldivar, to attack the Acoma Pueblo. On January 21, 1599, the Spanish troops came into view of the pueblo and the tribe fanned out from their village to guard the edge of the mesa. As the Spaniards drew closer, the defenders unleashed a barrage of rocks and arrows down on them. Despite the defensive barrage coming from atop the mesa, the soldiers fought their way to the top over the next three days. During the battle, the Spaniards brought a small cannon up the back of the mesa and began firing into the village. 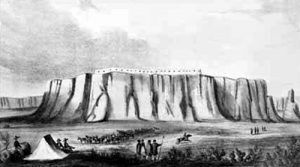 The battle then became a massacre and when it was over, as many as 800 Acoma people were dead and their pueblo in ruins. Afterward, the survivors were marched to the Santo Domingo Pueblo (now known as the Kewa Pueblo), where all males over the age of 12 were condemned to 20 years’ servitude. Of the few dozen Acoma men of fighting age who were still alive after the battle, they were sentenced to have one foot cut off. The surviving children under the age of 12 were taken from their parents, and given to Spanish missionaries to raise. However, most of them, as well as the women were sold into slavery. Oñate was later tried, convicted of cruelty to Indians and colonists, and was banished from New Mexico. However, he appealed the ruling and was later cleared of all charges. He lived out the rest of his life in Spain. 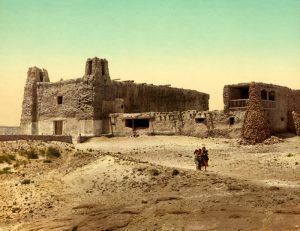 San Estévan del Rey Mission at Acoma Pueblo by Detroit Publishing, 1902. In the end, the approximate population of the 2,000 people who had lived at the Acoma Pueblo was reduced to approximately 250 survivors. 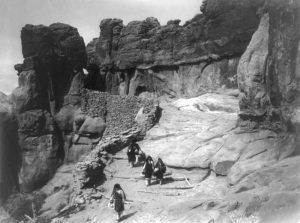 In time, some of the Acoma people managed to escape and made their way home, where they began the long process of rebuilding. Since that time, it has been continuously inhabited and never again fell to an invader. Decades later, In 1629, as a “gesture of peace” and to attempt to Christianize the Indians, the Spanish began to build the San Estévan del Rey Mission, which included a church, convent, and cemetery. All of the building materials, including some 20,000 tons of earth and stone, were hand carried or hauled up the steep slopes of the mesa. The mission’s 30-foot beams were carried 30 miles from Mount Taylor and Kaweshtima. Under the guidance of Friar Juan Ramirez the church was finally completed in 1640. However, according to Acoma oral tradition, the people were forced by Ramirez to build the mission. Two square bell towers flanked the main façade and contained bells brought from Mexico during the 1800s. A one-story convento sat along the north side of the church and once housed living space, workrooms, and storage for the father and friars who were in residence. The huge church still stands today and is an impressive work of architecture. 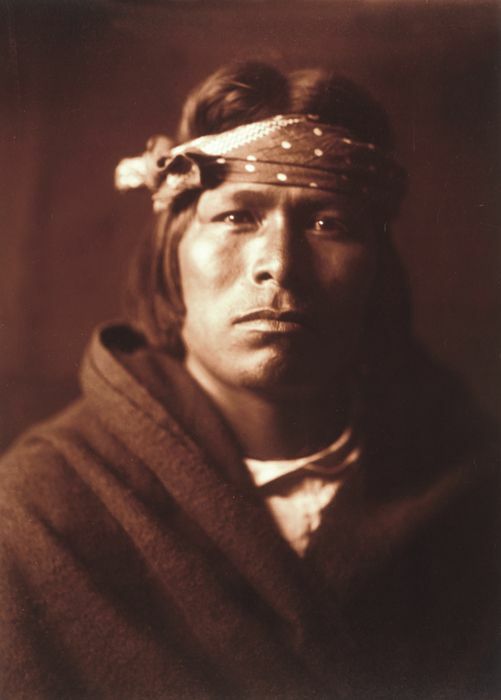 Acoma Pueblo Man by Edward S. Curtis, 1904. During the 1600s, tensions remained high between the Spanish and native peoples throughout the Southwest. Much of the conflict centered on religious disagreements. The abuses of power by both religious and political authorities eventually led to the Pueblo Revolt. On August 10, 1680, some 17,000 thousand Puebloans, including 6,000 warriors rose up in vengeance against 2,500-3,000 colonists. The tribes struck mission churches, killing 22 of 33 friars and demolishing and burning many of them. Warriors attacked isolated farms and haciendas, killing entire families. The Acoma participated in the Revolt by killing the Spanish friars who were living at the mesa at the time, but, did not destroy the church. It was one of the few Spanish missions to survive the revolt intact. In the end, the Spanish were driven out of New Mexico. However, the Puebloans were again forced to submit to Diego de Vargas in 1692. The Acoma joined in another uprising in 1696, but, were again subdued in 1699. Today, the San Estevan del Rey Mission church houses the largest inventory of early 17th-century building material of any structure in New Mexico. It features a large collection of Spanish colonial ecclesiastic art, an original hand-hewn circular staircase, hand-carved rails, and paintings. Acoma is, along with the Hopi town of Oraibi, Arizona, the oldest inhabited settlement in the United States. A federally recognized Indian Tribe, the Acoma Pueblo now has a land base covering 431,664 acres and is home to 4,800 tribal members. 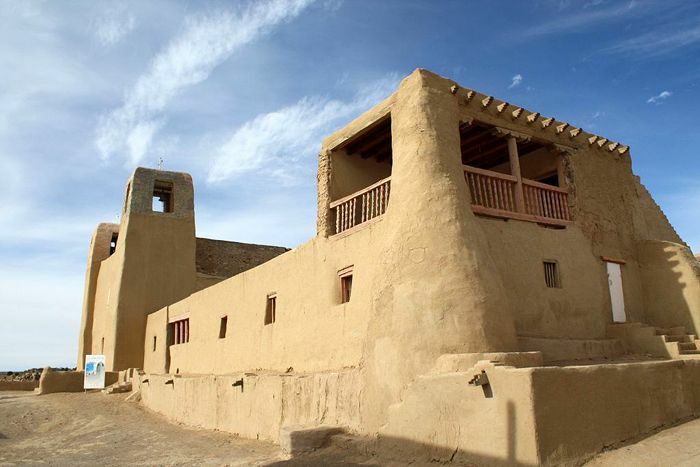 Both the San Estévan del Rey Mission and the pueblo itself have been proclaimed National Historic Landmarks. Today’s Acoma people continue the traditions of their ancestors who they trace to the former inhabitants of older ruins to the north and west of their present-day pueblo. Some also practice their ancient religion while others converted to Catholicism long ago when the first Spanish settlers arrived in the 1500s. Throughout the years, celebrations and feasts are held for religious and historic occasions. While visitors are allowed to attend, they are encouraged to be respectful and aware of local protocol. Today, fewer than 50 of the 3,000 Acomans live at the pueblo, the remaining residents choosing to live in the nearby villages. The Acoma Pueblo is known for its amazing pottery and a permanent exhibit, One Thousand Years of Clay, is housed in the Visitors Center located at the base of the mesa along with native food and crafts shops. The tribe also operates the Acoma Route 66 Interpretive Center just off I-40 and the Acoma Commercial Center. In addition, the pueblo also offers fishing for a fee at its newly built Acoma Lake. The pueblo is located 60 miles west of Albuquerque on Interstate 40 and 12 miles south on Indian Route 23. From Grants, Acoma is just 12 miles east on I-40. 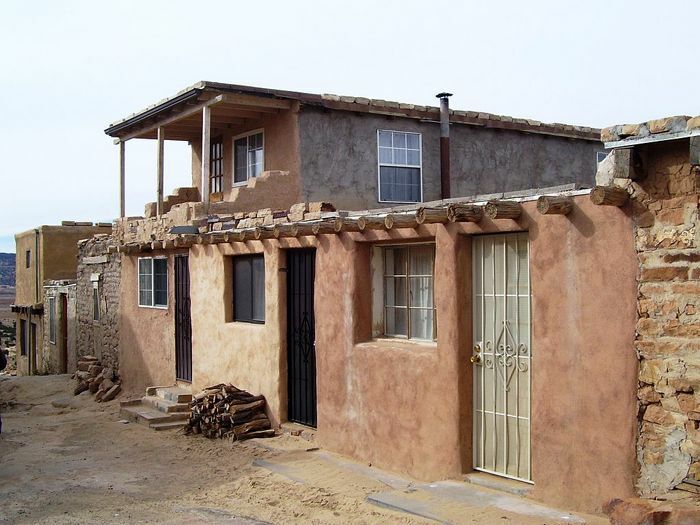 The pueblo is open for guided tours between March and October. A fee is required and no cameras are allowed without a license. Check with the Sky City visitor center at the base of the mesa.